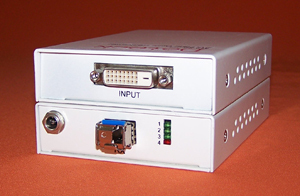 M2 series is mini DVI computer image fiber optic transmission system featured by high performance and low cost. 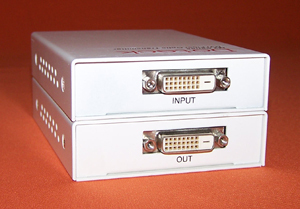 It can transmit one channel of one-way DVI computer image over one fiber. 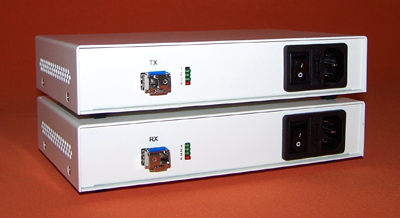 No adjustment is required in M2 system since it takes advanced digital fiber optic transmission technology with zero compression and zero bit reduction, simple design and work security, stability and credibility. M2 support 720p/1080i/1080 HDTV digital video resolution. 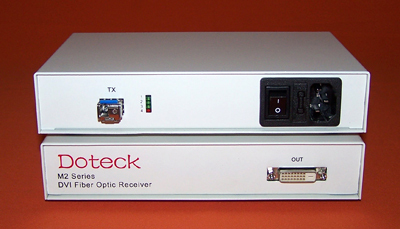 Doteck could be able to meet the user's special demand.